Today we have our wonderful guest back for one last day. We've certainly had a lot of fun with Annette this week!! This first card is pure delight!! to create that awesome card front. The pretty sentiment from the same set fits neatly across on it's own little panel. Perfect for a thank you card, don't you think? so it's not at all hard to be thinking of Christmas...in July! 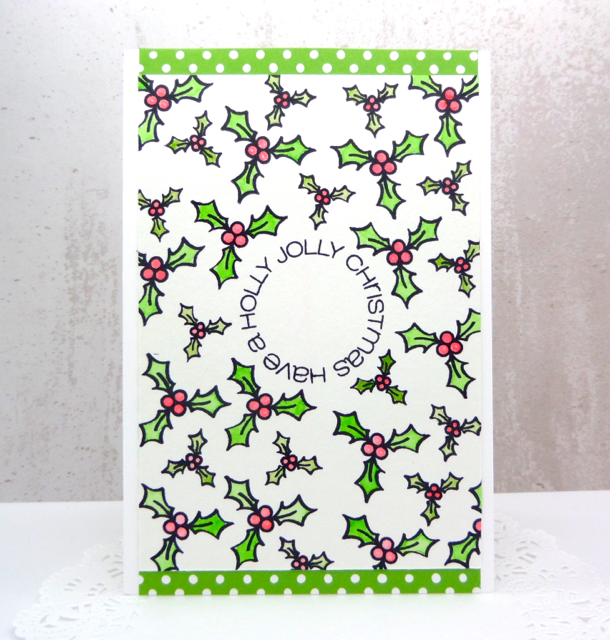 She used the 2 holly sizes from our Merry Kiss-mas set to stamp and color this fun background. The circle sentiment from the same set fits neatly in the center to complete this adorable holiday card. 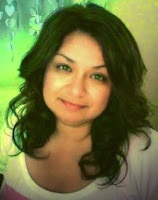 I hope you'll continue to follow Annette's awesome blog. and we'll be back next week to introduce you to two more. These are beautiful! Love your backgrounds! Lovely! Beautiful! And I LOOOVE the Christmas card! Both are so pretty Annette! Love that explosion of pretty pastel flowers, its stunning! And your Xmas card is fantastic with all that holly, such a festive and modern card. Really enjoyed your 3 days of cards!! !